YC’s FFC was one of the more enjoyable conferences I’ve been to in a while. The attendees were great, the format was brisk, and the content shared was by and large very helpful. It was weird. I have never seen an all-female panel before, especially not at any previous tech conferences. The fact that seeing an all-female panel seemed strange surprised me in and of itself – even I, as a female technologist of sorts, had become used to and complacent of the male-dominated nature of my field. It was enlightening. As a VC, I rarely hear such candid tales of fundraising from the entrepreneur’s point of view. Since I learned so much from this short session, I would definitely encourage any entrepreneur, aspiring or otherwise, to sit in on a couple VC-focused events. After all, EdTech vendors often attend Educator conferences and likewise, many industry conferences include both vendors & customers as attendees. In a way, VC’s and entrepreneurs are simultaneously each other’s customers – so why not get to know your customer better? It was inspiring. 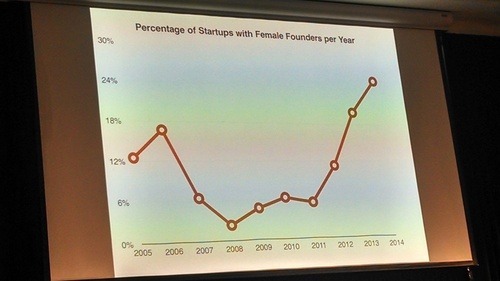 All of the female founders speaking at the conference were extremely humble – they had a “if I could do it, so could you” attitude, and many went at length to highlight their failures and inadequacies. It was a great reminder that I should probably be building, too. With PG in the spotlight, many people forget that Jessica Livingston was also a co-founder. She shared her story her responsibilities as the sole nontechnical co-founder (delivering AC units to YC companies!) and juggling being a founder and a mom. 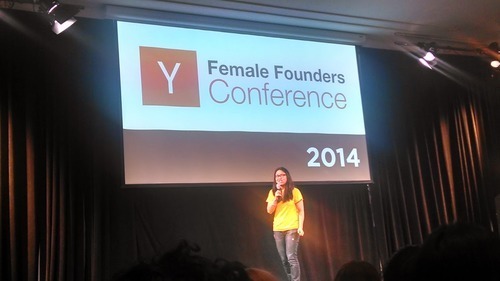 She also highlighted that YC has been trying to fund more female founders over the years.